Natural intelligence might be a rarefied commodity in the Westminster Bubble but a group of British MPs are going to ask a robot some questions about artificial intelligence. Luckily this droid likes answering questions and in pre-Brexit Britain presumably Pepper from Paris is still allowed to work in the UK. Just make sure you have the right adapter plug. 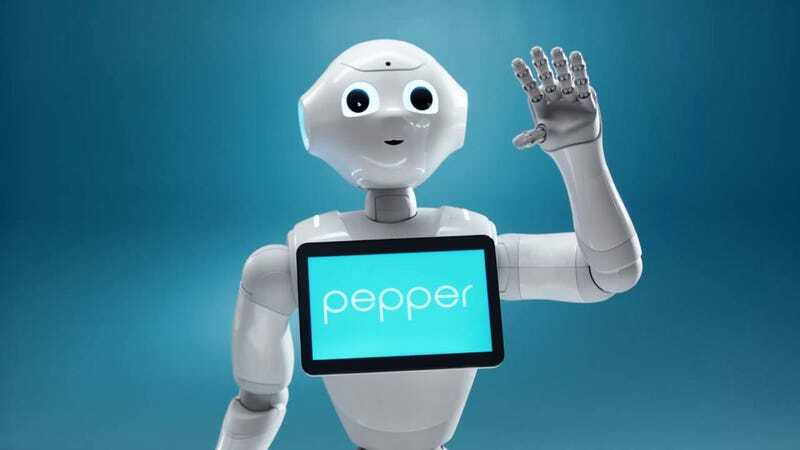 This Tech Insider interview shows that Pepper does sometime get a little confused and while she might be able to get a sausage roll at the Greggs near Portcullis House, I’m not sure where the nearest taco place is? Middling spaghetti house up the road. Pepper is the product of a research project funded by the EU and Japan with an eye on providing care for elderly people in the future. On Tuesday she will be quizzed by members of the Education Select Committee along with human experts in artificial intelligence. Presumably if Pepper was the teacher in the school of the future she would be less bolshy than your average NUT member. A robot called Pepper is to take MPs&apos; questions about artificial intelligence.